Retro leather chair barber shop in vintage style. Barbershop theme. 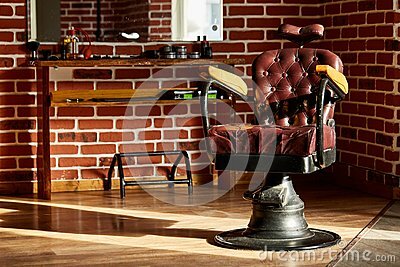 Barber shop, hairdresser chairs made from brown leather. Retro leather chair barber shop in vintage style. Vintage equipment. Male beauty and care. Grooming background. Barbershop theme.